Rebellion Games have shared a brand new trailer for their upcoming Sniper Elite 4. This ‘101’ trailer is six minutes long, and it walks you through the game’s campaign, setting, story, features, modes, and of course, the basics of sniping as well. The entire trailer is entirely comprised of gameplay footage, so what you see is going to be representative of the final game, too. 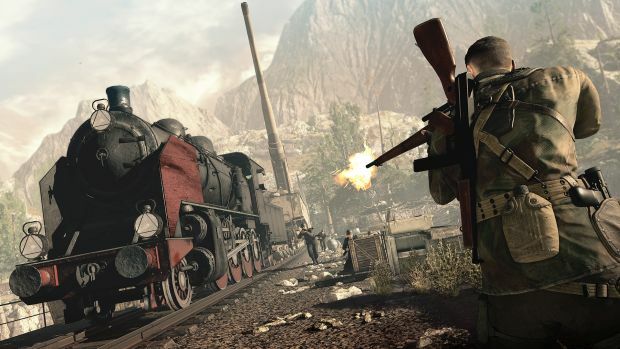 Of course, at this point, fans of Sniper Elite know what to expect with a new entry in the series- some nuanced, grounded war time action, as well as visceral combat and shooting mechanics. But if you’re a newcomer to the franchise who has always been interested in the games, but never had the chance to follow through on that interest, well, this trailer can catch you up with the basics, if nothing else. Sniper Elite 4 is going to launch on February 14, 2017 for PS4, Xbox One, and PC. You can check out the trailer for it below.